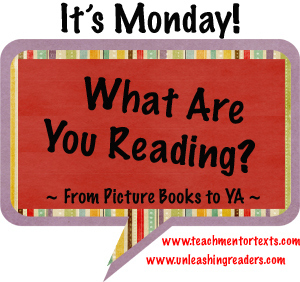 I have been sharing a reading photo of the week each week. This week, the photo I love best was taken during Reading Workshop on Friday. Everyone was so excited to get down to reading. 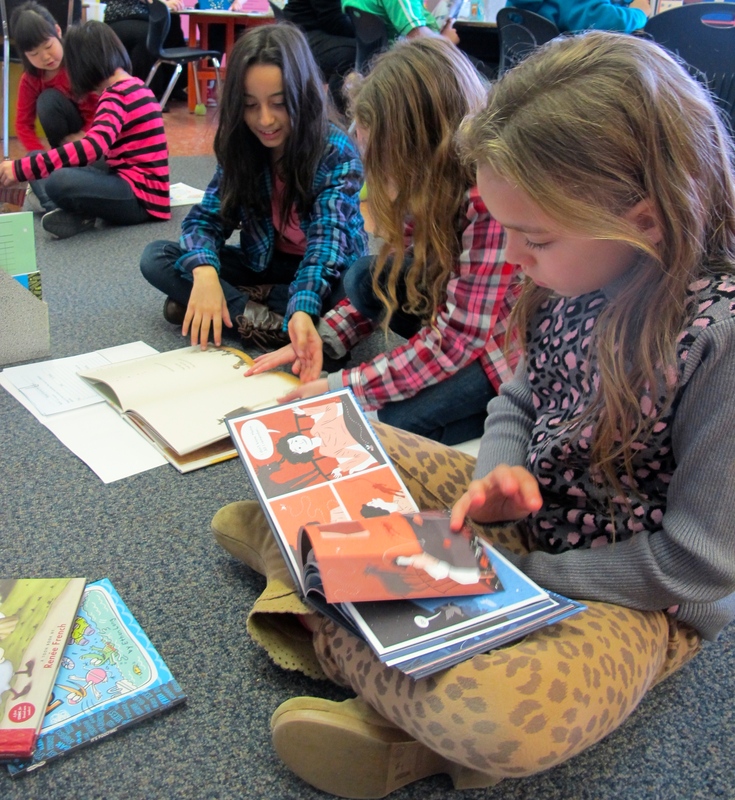 These girls all settled on the carpet reading various comics and picture books. Two girls are engaged in an animated discussion about Sam & Dave Dig a Big Hole. Lots of books. Lots of book love. 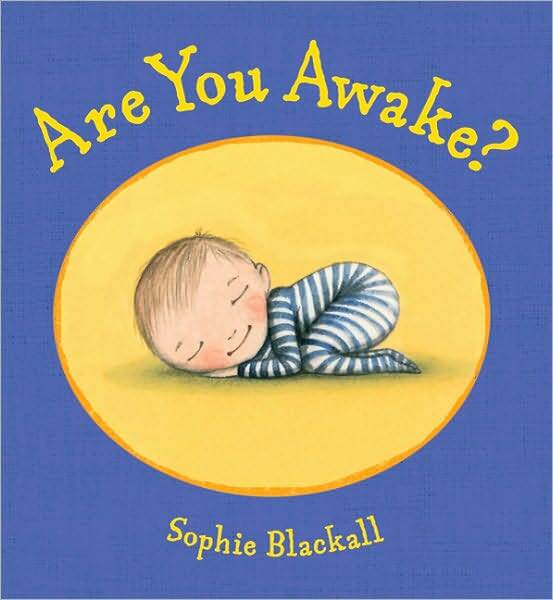 This book is all about adorable little child questions that happen when there should be sleeping. From the Mom’s perspective, oh dear, go to sleep little one. From the reader’s point of view? Pure delight. And I adore Sophie Blackall‘s work, so = extra great! Not sure where to begin with this book. Such an emotional and serious read. A beautiful book all around. Themes of kindness, compassion and empathy. More suited for older readers/listeners. Although, in an interactive read aloud, younger listeners could manage it. A fable of sorts. I was seriously skeptical with this one. Musician writes a children book . . . and his daughter illustrates it . . . ? But, actually, this was a lovely title. The text was well done. I really liked some of the illustrations – especially the guitar atop the piano page. And, it has so many elements I love in a picture book – a relationship between generations, family connections, special memories. Well done, Mr. Richards. This is the story of Priscilla, a young slave, who is sold to a Cherokee family and then must walk with them along the “Trail of Tears” when they are relocated. Hollyhock flowers represent a link to her childhood memories of family and her mother. An important historical read. This book almost leaps about shouting, “Don’t you want to use me for a writing activity prompt? You do, don’t you?” Yep, yes I do! I fell quickly for this book exploring the emotions of colour, asking us to look at typical colour feelings from another perspective. And, wow, Catia Chien is impressing me at every turn. Gorgeous illustrations. Captures the intensity of this middle school age – the navigating the social world, the figuring out of who one is with lots of humour, surprises, embarrassment and joy. As my daughter, who happens to be 12, and have a twin brother, said “this book is so real.” Ana is a character you will want to keep reading.I will definitely be picking up Jess Keating’s next novel and soon! I am not sure if this book spoke to me so intensely because I have read so much literature set in Central/Eastern Europe. Or because I lived in what was once Czechoslovakia from 1990 to 1992 just after the wall went down in a small town that really was slow to “westernize”and shake off Communist influences. All of that is part of it. A lot of it is that Kephart is so ridiculously talented. This is a story and a piece of art. I can see reading this book over and over because it is so very, very rich in imagery and emotion. It is painful. It is beautiful. It is haunting. Loved this book. And I haven’t even touched the plot. Just go. Find it. Read it. Let the images swirl about. Be with these characters. Fall into this time. What an experience. This entry was posted in It's Monday What are you reading? and tagged Anna Alter, Anne Broyles, Beth Kephart, Cátia Chien, fiction, Griffin Ondaatje, Jess Keating, Jessica Young, Keith Richards, Linda Wolfsgruber, middle grade novels, Monday reads, picture books, Sophie Blackall, Theodora Richards, young adult selections by carriegelson. Bookmark the permalink. I keep forgetting to do my Reading Goals wrap-up at the end of my IMWAYR post. It looks so orderly the way you do it! I’ve seen Camel around and was immediately drawn to the beautiful cover. So many books so little time! I like to do this summary to just to keep myself on track. It helps to see that progress might happen with one goal and not another but still progress! Going Over looks really good, I added that one to the list too! I think both my daughter and I will want to read this next title by Jess Keating! I enjoyed Croc as well. I loved her next one too, even a little more than Croc. I’m still trying to get my hands on a copy of Blue is My Happy. Thanks for sharing! Blue is Happy is so wonderful! I want to own my own copy! I hope you like it. I think Kephart writes art. Her work is that beautiful. I ordered Going Over from the library, Carrie, and The Camel In The Sun. I have a student studying Islam, & she will love that picture book! Thanks for these two, and for all the rest too. It is a beautiful picture book – I hope she will like it! So many beautiful books Carrie. 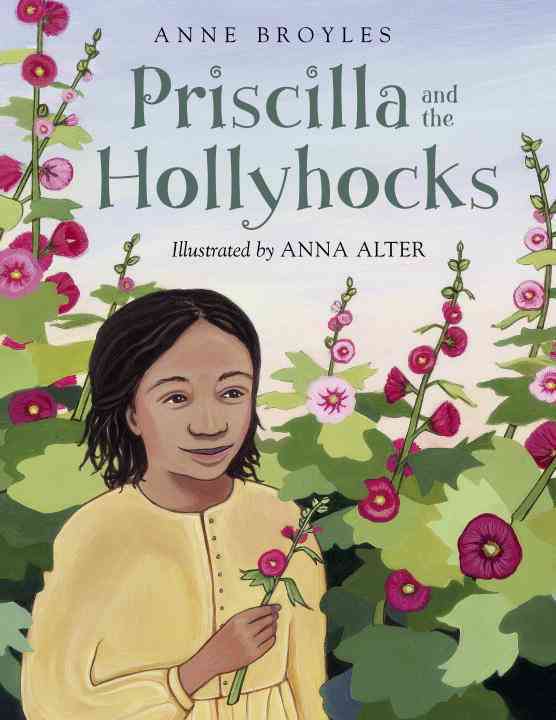 I’m looking forward to reading Priscilla and the Hollyhocks, as I’ve been introduced recently to the conflict between the Cherokee and their Freedmen who were granted tribal citizenship after emancipation. I’m also fascinated by anything to do with the Trail of Tears. I was thrilled to find this at the public library. Based on a true story. It’s great! Lots of new suggestions! I am immediately intrigued by Going Over. I have gushed in multiple places about this title. It really spoke to me. Going Over is sitting on my shelf! I got an ARC at NCTE a couple of years ago and never read it. Must remedy that very soon! 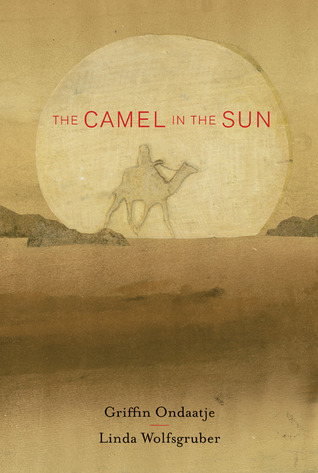 The Camel in the Sun has an incredible intriguing cover–just gorgeous! I agree with you about Sophie Blackall–I love all things Sophie Blackall. 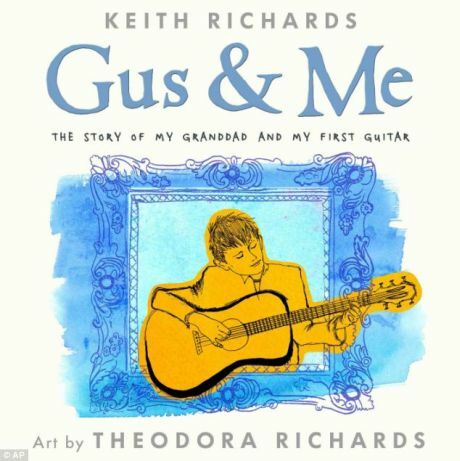 I had been skeptical about the Keith Richards book too but now will look for it. It’s just the kind of children’s book my library will purchase (book by celebrity. SIGH. I wish I could be in charge of library purchasing for the juvenile section!) so I won’t have to look very far! I had fully planned to participate in #VirtualBookClub but couldn’t get the book read in time. I am reading it now however (the Jess Keating) and enjoying it. I know – the celebrity thing is an immediate yikes for me. But I read a few things on Goodreads that were positive. I passed it over for a few weeks at the library and then grabbed it. 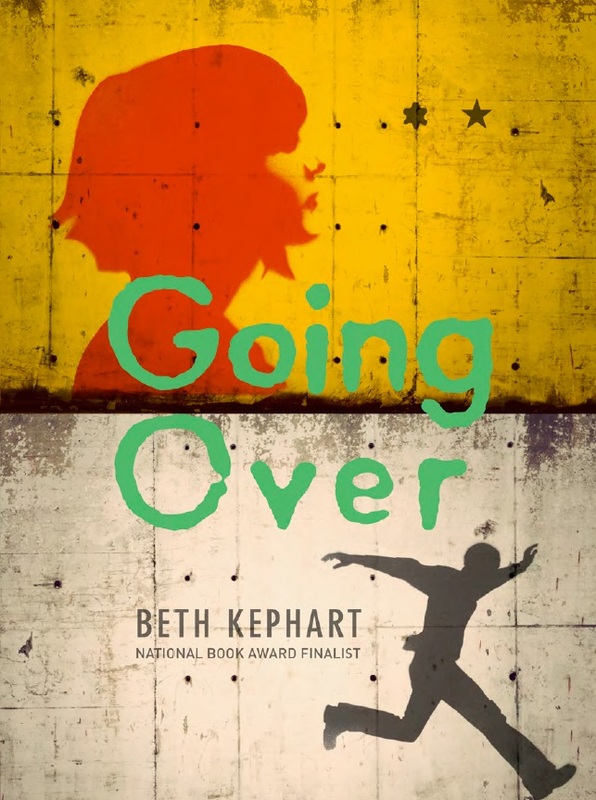 Have you read other titles by Kephart? LOVE her! Definitely intrigued by Camel in the Sun and love your writing prompt idea for My Blue is Happy. My students are really ‘digging’ Sam and Dave Dig a Hole recently as well. My students “dug” it too! 🙂 It is on our Mock Caldecott and tomorrow we vote! I’m especially curious about Camel in the Sun. I loved Croc, and I really liked How to Outswim a Shark without a Snorkel. I think your 12 year old’s estimation is spot on! I think I need to get the next Keating title for the both of us! So I think there is something wrong with me because I just didn’t connect with Going Over the way I so desperately wanted to. Berlin is my favorite city in the entire world, and I just couldn’t find Berlin anywhere in the story. I mean, it was there, but it just didn’t come alive for me. I was hoping it would come alive the same way Prague came alive for me in Daughter of Smoke and Bone. I felt the exact same skepticism you did about Gus and Me, but in the end, it got me a little choked up. Did you listen to the CD with it? I LOVED that there was musical accompaniment with little riffs from Malaguena in the audio track that Richards narrates. It brought the story alive that much more. 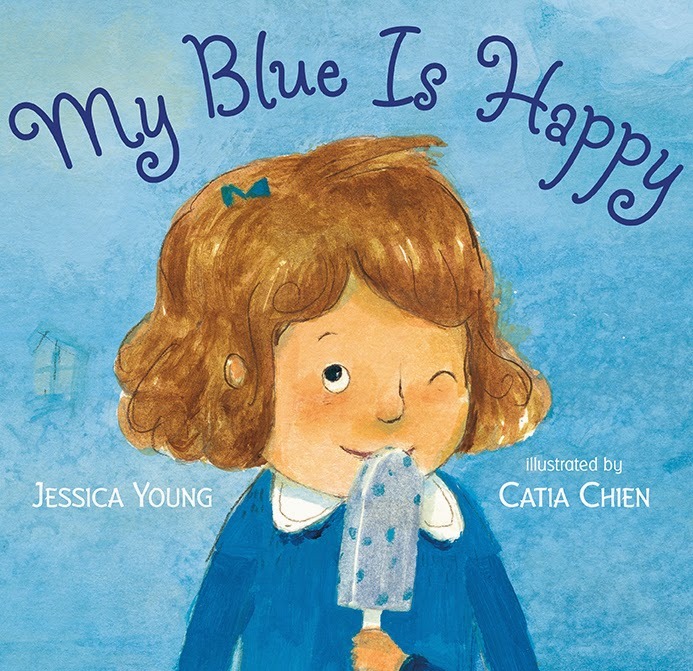 My Blue is Happy is definitely a title I will be seeking out this week. I love Berlin too – although I have only visited when wall was still up. 1988. So . . . this book spoke to me not about the city and what it feels like to walk down its streets. This book spoke to me of a time in this period in history – that I “tasted” from the outskirts – of fear, of rules, of choices and desperation. Reading this book has my head spinning from memories and flashbacks of stories shared with me. I really loved it. But different books strike us differently for different reasons – never a need to think we are wrong for our feelings! Thank you for all of these recommendations. We can’t wait to read The Camel in the Sun and Priscilla and the Hollyhocks. They both sound like powerful books that shouldn’t be missed. 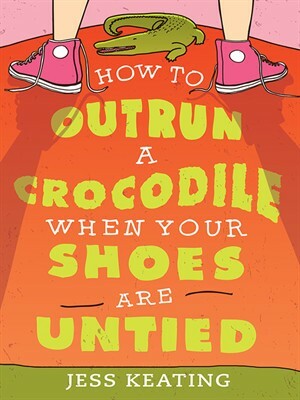 Of all of your books I’ve only read How to Outrun a Crocodile. It was so fun. I will have to watch for the rest. I think you would really like Camel in the Sun. A powerful, beautiful book. Well… Peter Sis’s biography The Wall is my main form of information so now will add Going Over to my TBR pile… Thank you! Enjoy it! Isn’t The Wall an incredible book? Wow… I may need “Going Over”. I was in East Berlin just months before the wall came down. I still shiver whenever I think about it. I can imagine. Such a significant time in history.